Garrett Leight Van Buren M - Black Need Help? Stripped down to its bare essentials, this progressive light weight GLCO design features antique inspired perfectly flat lenses (aka zerobase), etched detailing, and a foldable frame for added utility. 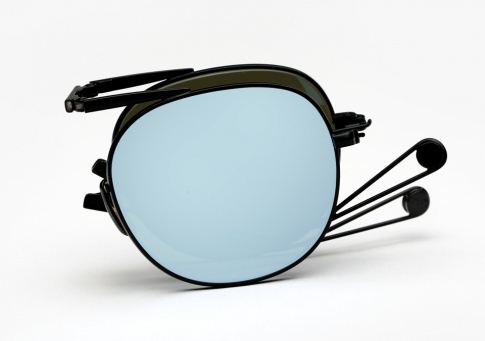 It is offered here in all black juxtaposed with flat "Vinyl"(silver) Mirrored lenses.